The Wolverine was the original name, but this had to be changed, due to a trademark conflict with another company. Most were stamped with the name "Whitney Autoloader". 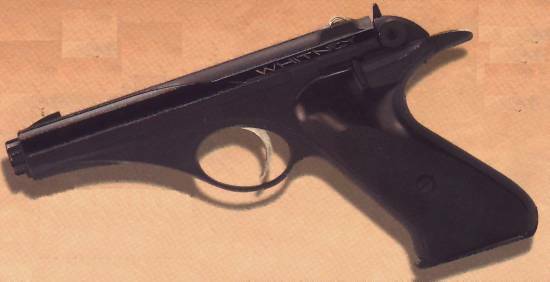 Designed by engineer Robert Hillberg, this .22 pistol was cast from aluminium with a sandwiched steel tube holding the barrel and breech block. About 14 000 were made in all, before a bad marketing campaign forced the company to sell to avoid bankruptcy. Thus, the Wolverine became a ghost in American firearms' past.